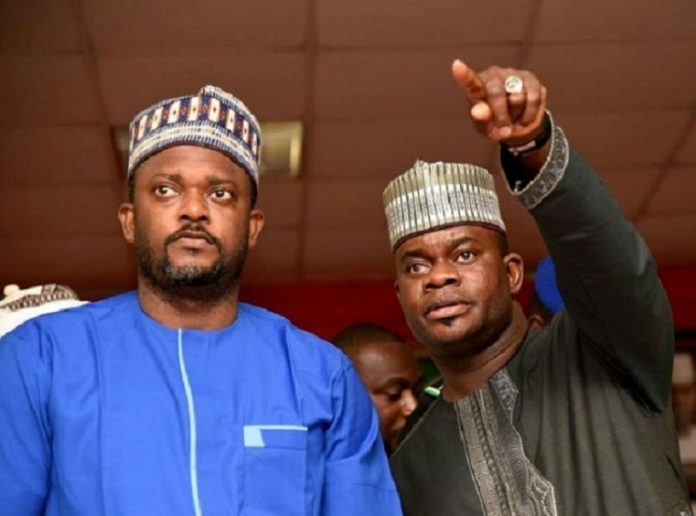 Edward Onoja who has long been the controversial and extravagant Chief of Staff to Kogi State Governor is no doubt desperately plunging billions of Naira belonging to taxpayers into the oil and gas sector in a bid to retain financial relevance. According to LeadingReporters, Edward Onoja in collaboration with Gov. Yahaya Bello, his mentor in looting affairs and apparently the leader of the bandwagon of looters in Kogi State, is alleged to have begun using public funds to invest in choice businesses, one of which is the acquisition of Enyo Filling Station in a bid to become a major player in the downstream oil sector within the shortest possible time. Sensing that his future in Kogi state political arena is very bleak and determined to cash in on his office as the Chief of Staff of the state, it is alleged that he has stepped up his looting game through which he funds his oil and gas business as he currently has more branches of the filling station springing up in States like Plateau, Benue and others within the North Central region. “He is massively investing in the oil and gas, estate and agriculture. He owns the largest stake in Enyo Filling Station and he is plunging billions of Naira to ensure a faster spread of the filling station, first within the North Central Region and then to every part of Nigeria. He wants the services it offers to rank among the bests and the biggest in Nigeria. He seems determined. Above all, there seems to be enough money to pursue the vision” a credible source alleged. There are also allegations that Gov. Yahaya Bello who is the grand patron of the looters club, is allegedly notorious for promoting policies that do not better the lot of its citizens, especially the civil servants but rather delivers thuggery, and gun running as the dividends of democracy. It was further purported that the recent announcement by the state governor expressing his readiness to pay a few months backlogs of civil servants salaries was a desperate move targeted to sway the hearts and votes of the civil servants in view of the forthcoming Governorship election in the State. It would be recalled that Kogi State is ranked the worse in terms of payment of salaries and gratuities to serving and retired civil servants despite the fact that the State received both bailout and Paris Club refund. All efforts to reach Mr Edward Onoja on his mobile phone line proved abortive as he did not pick his calls at the time of filing this report.